With more than 1,400 islands, maritime and air transports are common in Greece. Tests carried out in Santorini demonstrated that concentrations of ultra-fine particles were up to 100 times higher near the ports. But in recent years, the situation has been improved thanks to better fuels and replacement of polluting old technology. The evaluation of air quality and pollution has been traditionally conducted by ground based monitoring. 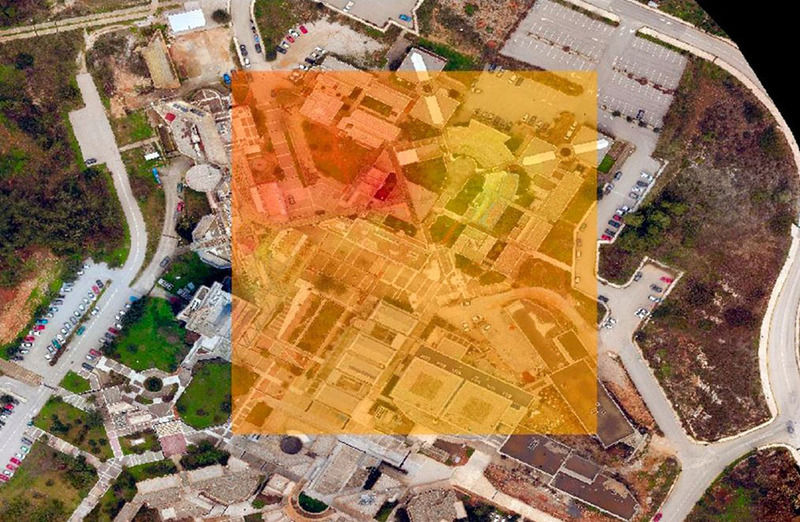 Complexity of the terrain and physical barriers usually complicate data collection, augmenting costs and decreasing efficiency and performance. 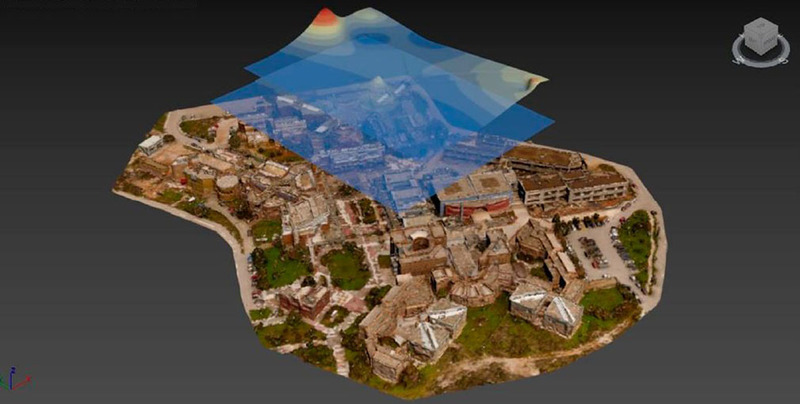 At the Industrial, Energy and Environmental Systems Laboratory of the Technical University of Crete, Antonios Koutroumpas (BSc Student) and Konstantinos Loukakis (MSc Student), with the assistance of Spiros Papaefthimiou (Associate Professor), developed a Thesis in Production Systems with the title: “Use of UAV (Unnamed Aerial Vehicles) for 3D visualization of air pollutants in urban areas,” in which a small drone equipped with Libelium’s wireless sensor platform Waspmote was introduced for in-situ data acquisition. 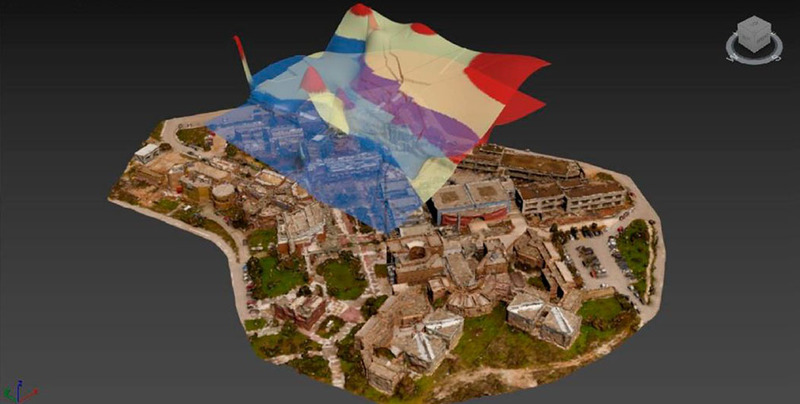 Drones equipped with compact sensors can provide data at nearly any point in a three-dimensional axis. This interesting characteristic favors the reduction of sensor nodes used in every smart cities or smart environment project, diminishing the total cost of the solution. Additionally, permits the user to obtain local data for production monitoring, problem detection and local climate control. 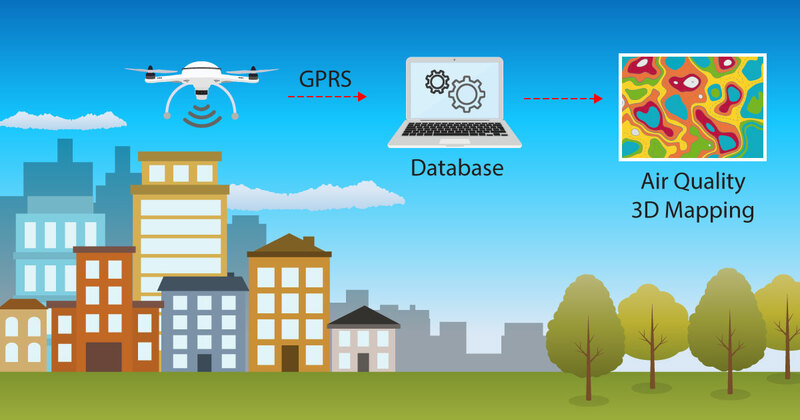 The projects require a wireless sensor network with the following requisites: low cost, portability, capability of data storage and wireless transmission of the data. Another additional requirement was time and location stamping of gas measurements, which was accomplished thanks to Waspmote intrinsic characteristics and GPS module integrated. The developer chose Libelium’s wireless sensor platform due to “its ability to integrate many protocols into a single node, which provides capabilities for implementations of multi-WSN architectures where independent communications can exist within a single network”. 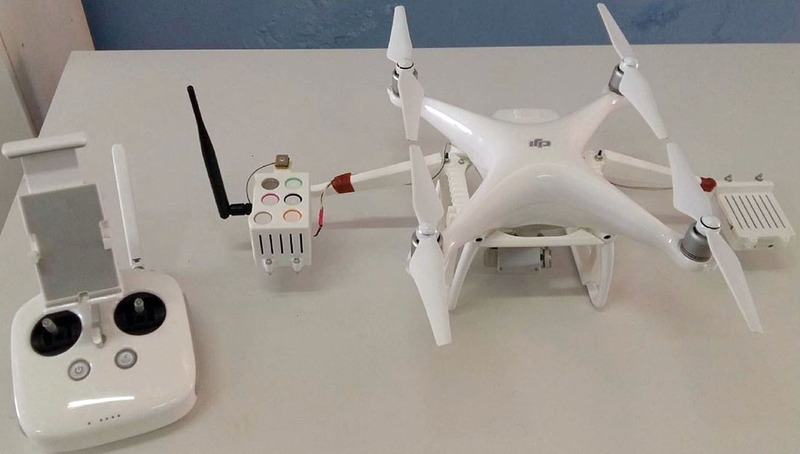 Sensors were attached to the UAV thanks to customized boxes printed from a 3D printer, one for the sensor boards and a second one to contain the battery. 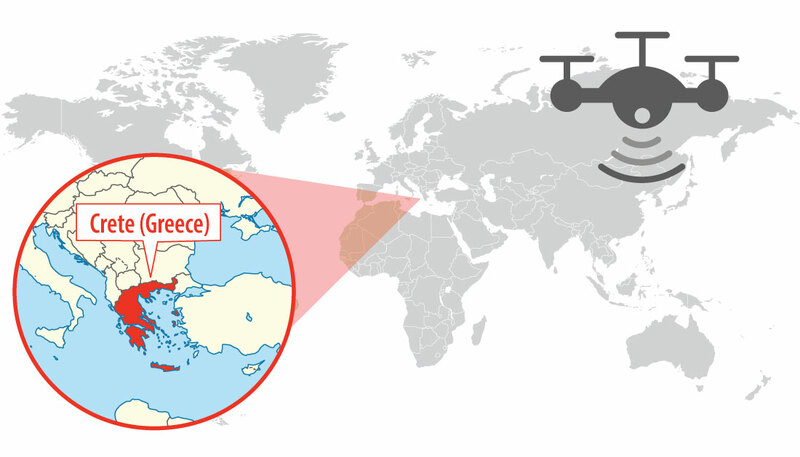 While the drone flies, the sensors take measurements and send, via GPRS, the information directly to the database, where it is processed. The author of the thesis is optimistic about the future use of UAVs in air quality applications thanks to the capability and flexibility of these platforms. The presented paper developed concepts and innovative techniques for visualizing air pollutants in 2D and 3D form. 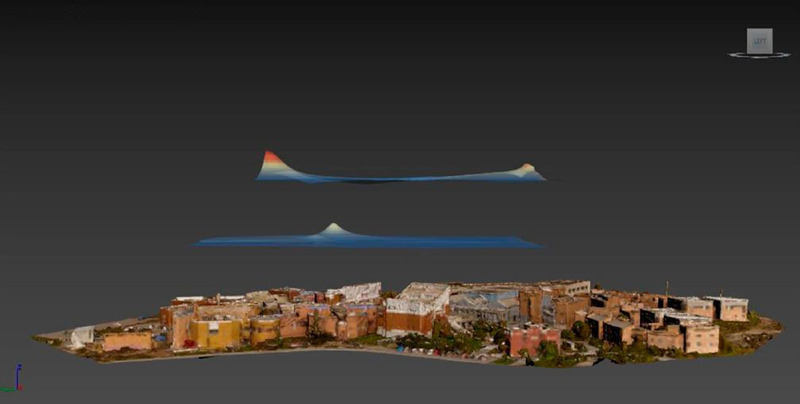 The main purposes on this thesis were to create a 3D mesh of the study area and to visualize this data above the geo-referenced 3D model for better understanding of the distribution of the air pollutants. Some of the most important results obtained thanks to this performance was the emission of CO2 from the chimney of the university and from the parking lot. The thesis leaves the door open to the application of this disruptive methodology in areas where high concentration of air pollutants is a concern, such as industrial areas, harbors or airports. 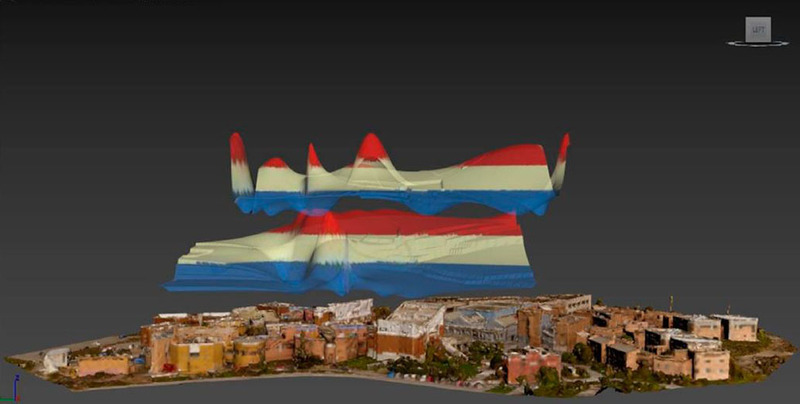 The use of more than one UAV could offer simultaneous data at different locations and heights, giving the opportunity to investigate air quality at a bigger scale. This is not the first time Libelium’s wireless sensor platform is adapted in a similar system. A Smart Water drone monitoring system was recently implemented in Russia to measure pollution in the largest water reservoir in Eurasia, located in the Volga River. Drones, Sensors and Blockchain for water quality control in the Volga river to promote trustworthy data and transparency. Libelium releases new IoT Smart Cities Platform enhancing accuracy in noise level and air quality pollution sensors. Discover the Air Quality Index Kits in The IoT Marketplace.